Apple Pie is about as American as you can get. A slice of this Apple Crumb Pie is perfect to enjoy for Thanksgiving dessert or any time of the year. It’s not Thanksgiving without a nice slice of pie. Better yet, it’s not Thanksgiving without a slice of an apple pie of some sort. This Apple Crumb Pie (or Dutch Apple Pie or Apple Crumble Pie) recipe is easy as pie to make and is perfect not only for Thanksgiving but any time of the year. 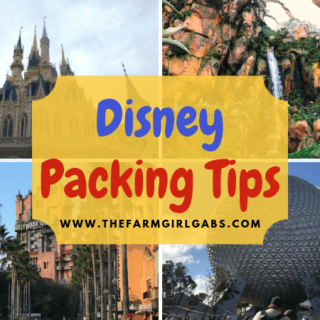 Apple pie is the all-American dessert! Apple season just finished on our farm and thankfully we are well-stocked up on apples at our store due to their abundance this season. When it comes to dessert, pie is my weakness. I would totally choose a nice slice of my favorite pie over a brownie or slice of cake any day. I have learned how to make pies of all flavors from “The Pie Making Queen”, aka Mom. Thanks, mom! She’s the best baker around, especially during the holiday season. People often get intimidated when it comes to baking pies. It’s the crust. Don’t be afraid of the crust. My Perfect Pie Crust recipe comes out perfect every time. But still, if you are not comfortable with rolling everything out, buy a prepared crust in the freezer section. The work is already done for you. Or, buy a box of prepared crusts to practice your edge-crimping technique in the refrigerator section. I promise I won’t tell a soul. Since this Apple Crumb Pie has a streusel layer, you won’t have to worry about perfecting the top crust either. Plus, it’s made with love and that is all that matters. Preparing this recipe really is a piece of cake (see what I did there?.) I always use a variety of apples when I bake. It adds to the depth of flavor. My favorite apples to bake with are Rome, Winesap and Cameo. These are all harder apples so they won’t break down too much (unlike a McIntosh or Cortland) and have varying levels of sweetness. 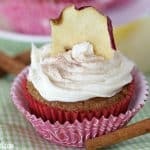 A healthy dose of cinnamon is added to give the filling the perfect fall flavor. And the crumble pie topping is so delicious! The butter, sugar and flour work together to give the topping the right amount of soft crunch once baked. I could eat the topping all by itself. So make sure you save room for this delicious Apple Crumb Pie in your belly. Oh yeah, make sure you also save room for a nice scoop of vanilla ice cream on your dish too….because apple pie and ice cream are the perfect combinations. 1 Recipe Perfect Pie Crust Divide dough in half. Wrap one half and freeze for another time. Make one recipe of Perfect Pie Crust. Divide dough in half. Roll out one half. Place in pie dish. Crimp edges. You can wrap and freeze the other half for later use. Peel, core and slice apples. Add them to a large bowl. 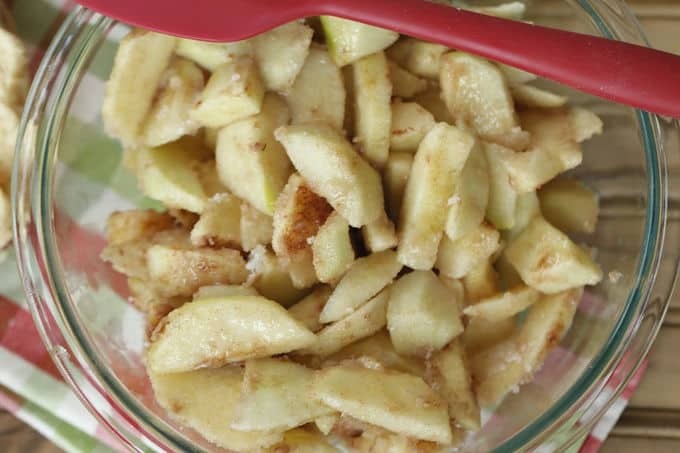 Mix apples with sugar, cinnamon, flour, lemon juice, apple juice and salt. Pour apple mixture into prepared pie shell. Dot with butter. To make the streusel, combine flour, cinnamon, and brown sugar in a medium bowl. Use a pastry blender or fork to cut in the butter; making pea sized pieces. Pour topping over apple pie, filling in any holes. Bake at 400 degrees for 45 minutes or until topping is brown and bubbly. 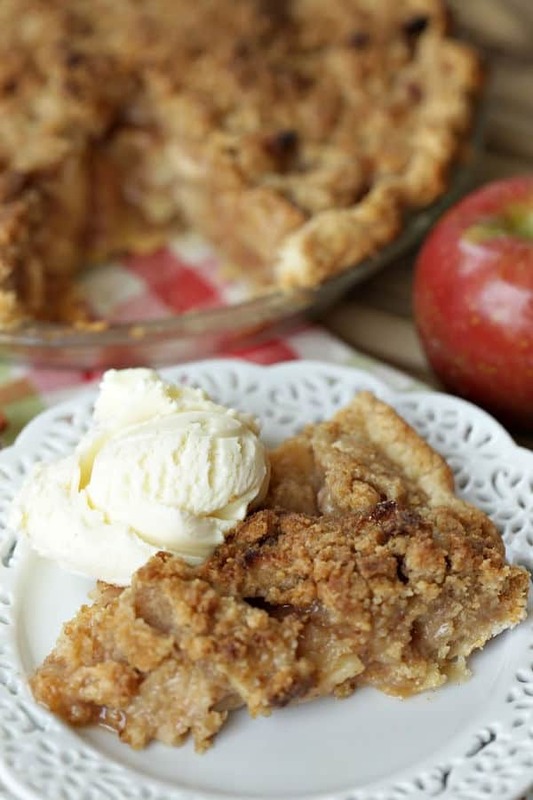 Save this Apple Crumb Pie recipe for later. Pin the image below to your favorite Pinterest board. From South América , Chile.